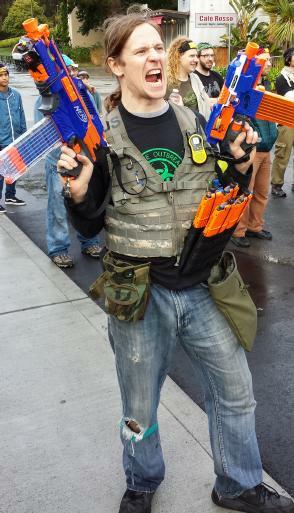 Welcome to Bay Area Nerf! Whether you're a new player looking for strategy or what weapons to use, or whether you're an experienced player who just wants to know what games are happening in the San Francisco Bay area, we've got you covered. So run! Run!